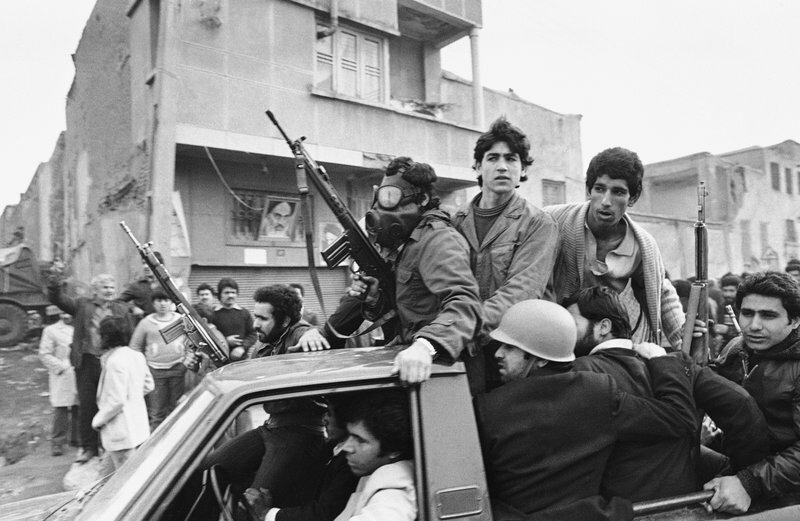 EDITOR’S NOTE: On Feb. 11, 1979, after days of running street battles and uncertainty, Iran’s military stood down and allowed the Islamic Revolution to sweep across the country. The caretaker government left behind by the cancer-stricken Shah Mohammad Reza Pahlavi, who weeks earlier left the nation, quickly crumbled as the soldiers once backing it embraced the supporters of Ayatollah Ruhollah Khomeini. Foreigners who hadn’t fled, including a vast population of Americans, soon began trying to leave. President Jimmy Carter said “we stand ready to work with” Iran’s new leaders, slowly loosening America’s long embrace of the shah as its main Mideast ally. 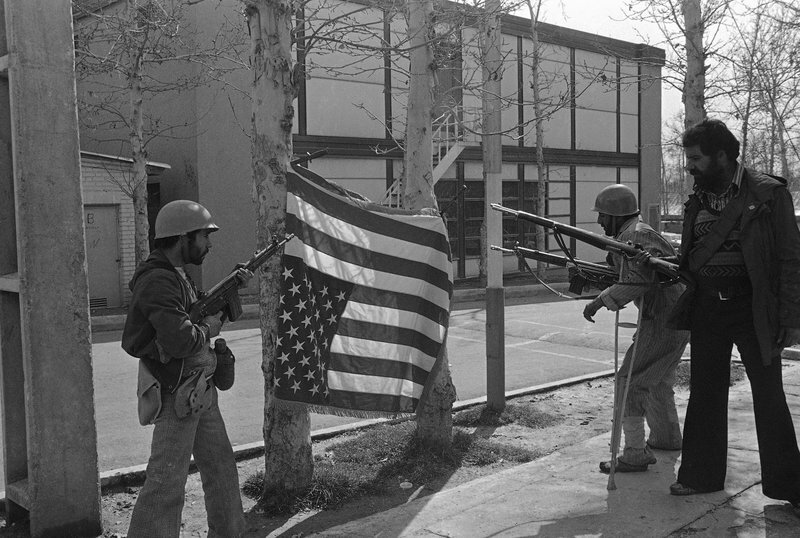 However, the revolution and Carter’s decision to allow the shah to seek medical treatment in America would spark the U.S. Embassy takeover and hostage crisis, stoking the animosity that exists between Tehran and Washington to this day. Now, 40 years later, The Associated Press is making its story and historic photographs of Iran’s Islamic Revolution available. The story has been edited for typographical errors, but maintains the AP style of the day, such as using “Moslem” as opposed to Muslim. TEHRAN, Iran — Prime Minister Shapour Bakhtiar reportedly resigned Sunday after Iran’s military chief ordered troops back to their barracks and declared support for Moslem Leader Ayatollah Ruhollah Khomeini. The 2,500-year-old Iranian monarchy appeared to be in its final hours. The government’s news agency placed the death toll in Tehran at more than 200 with scores killed in other cities during two days of bloody street fighting. Khomeini’s followers took over Tehran Radio and issued a series of directives from the Provisional Revolutionary Government. The broadcast said Bakhtiar’s government had fallen and all members of parliaments had resigned. Gen. Abbas Gharabaghi, chief of staff of the armed forces, met with Khomeini’s Prime Minister Mehdi Bazargan, 70, and said he would support the government set up by Khomeini to establish a “revolutionary” Islamic republic. The withdrawal of troops appears to break the back of the constitutional monarchy that depended heavily on a loyal, united military. Insurgents took over Tehran, looting military posts of weapons and ammunition, occupying government buildings and police stations and racing through the street flashing “V for victory” signs. They raided several prisons and released “political” detainees jailed by the shah as common criminals. Early Monday, a huge explosion shook the western side of the city near Mehrabad International Airport. Tehran Radio said Jay Barracks, one of Iran’s largest bank garrisons, was in flames. The radio reported heavy shooting there, in Majlis Square and two other areas of the capital. Ebrahim Yazdi, Khomeini’s chief aide, said Bakhtiar had quit. This was confirmed by a Cabinet minister, but there was no comment from Bakhtiar, and his whereabouts were unknown. Sources said Bakhtiar, appointed by the shah Jan. 4, had written his resignation because he could not continue without military support, and said an announcement of his resignation would be forthcoming. In one of its first acts, the Provisional Operational Staff of the Islamic Revolutionary Movements closed Iran’s borders and all airports for 24 hours beginning Monday, Tehran Radio said. In Washington, the Pentagon ordered a detachment of 69 Marines sent from the United States to Turkey in case they are needed to help 19 Marines protecting the U. S. Embassy in Iran. Six Air Force helicopters are being flown to Turkey in case the need to evacuate American from Tehran, said Defense Department spokesman Thomas Lambert. In Marrakech, Morocco, sources close to Shah Mohamad Reza Pahlavi, 59, said he was in state of “anguished expectation” as he followed events in Iran from his “vacation” seclusion here. They said he was following (news from) U.S. and European Embassies. The ayatollah appealed to his followers to remain calm. The military decision to follow “the will of the people” and return to their barracks came after two days of bloody rioting in which many soldiers joined the opposition. 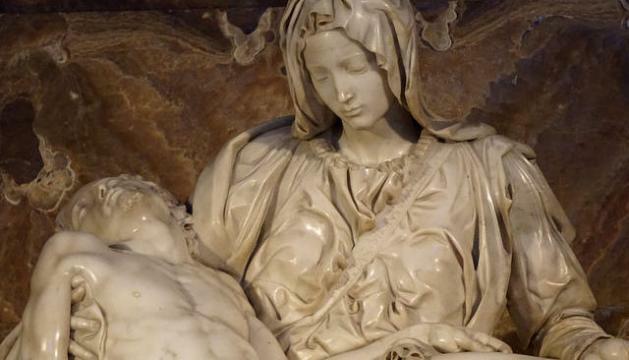 The violence left more than 200 dead and 800 wounded. 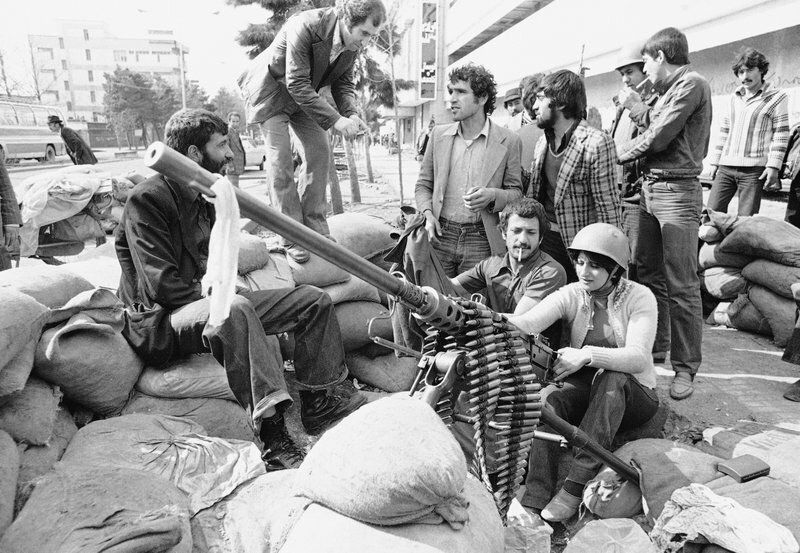 The military defections to Khomeini’s side exploded the notions that the armed forces were united behind the government. 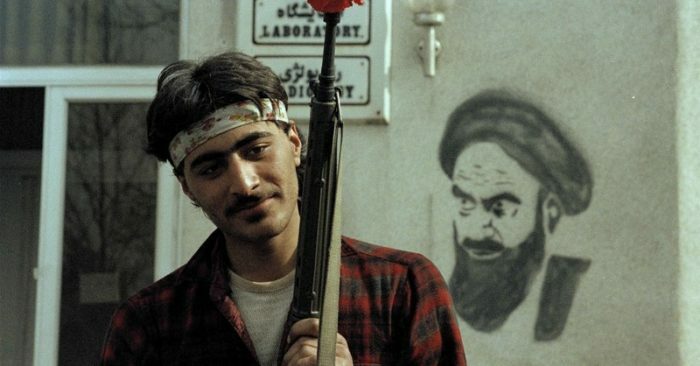 The decision to pull back the troops followed a weekend of vicious fighting between Khomeini’s followers and government troops for control of police stations, government offices and other landmarks in the city. Initial reports indicated heavy casualties in other Iranian cities as well, but no figures were available. A 25-hour battle was reported at the central police station in the southern city of Shiraz. Tehran Radio, overtaken by insurgents, said the speaker of the Majlis, or parliament, announced all members of parliament resigned. Yazdi said the former chief of the shah’s feared secret police force SAVAK, Gen. Nematollah Nassiri, had been taken prisoner along with former Prime Minister Amir Abbas Hoveida. Also arrested was Tehran’s military governor, Lt. Gen. Mehdi Rahimi. Insurgents attacked Bakhtiar’s office hours after the army pulled back its forces, but aides said the 62-year-old prime minister was not there but would not say where he was. The 430,000-man armed forces had been the Bakhtiar government’s major source of support. The ayatollah, spiritual head of Iran’s 32 million Shiite Moslems, demanded Bakhtiar resign so Iran could be transformed into a non-aligned Islamic republic. 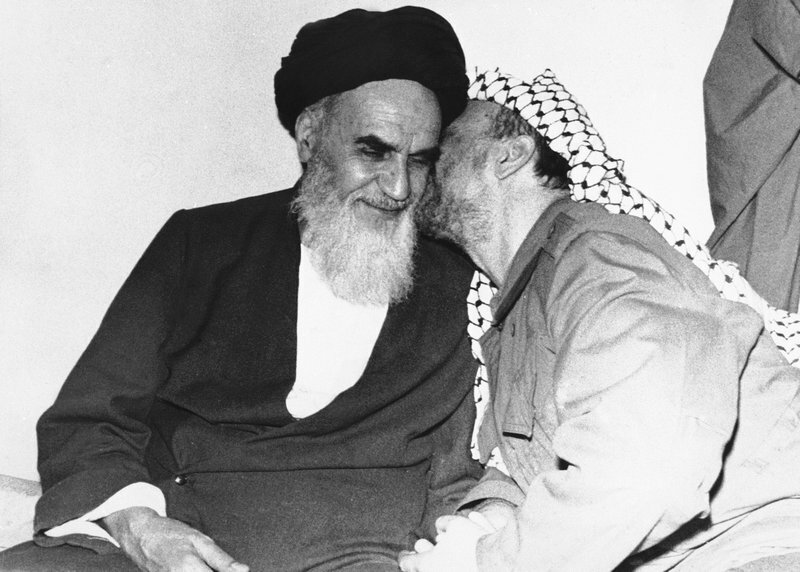 Khomeini leads the religious opposition that feels the shah’s “westernization” of Iran has eroded Islamic values. Also opposing the monarch is a rising middle class which has demanded more say in the government. The radio earlier said insurgents occupied the historic Golestan Palace in Tehran, used as a guest house for visiting heads of state. 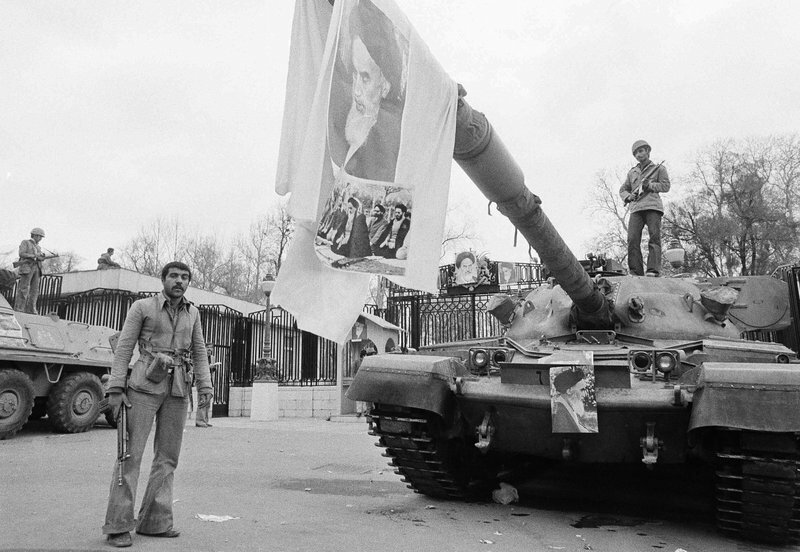 Huge crowds jammed the narrow, winding streets around Refah School, Khomeini’s headquarters. Reporters there were told 16 soldiers and a colonel were taken prisoner when insurgents stormed the Ministry of Commerce. Hundreds of Khomeini followers blocked streets around the Hotel Intercontinental, headquarters for most of the Western press. They refused to let anyone enter or leave. Fighting at the Eshratarb police compound in eastern Tehran stopped minutes after the military announcement and attackers poured from their positions, cheering and singing. Police handed weapons to the insurgents over the walls of the garrison. Armed rioters seized the northern section of the Doshan Tappeh air force base in eastern Tehran, the site of bloody armed clashes Friday and Saturday between mutinous air force cadets backed by armed civilians and imperial guard troops. Witnesses reported eight police posts were sacked by rioters during the right. Insurgents sacked the headquarters of the Israeli Trade Mission and erected a sign that said “Embassy of the PLO” — the Palestine Liberation Organization.